October is National Breast Cancer Awareness Month (NBCAM), therefore I want to share some facts about breast cancer, prevention tips and information that is helpful to all of us. I have had family members battle breast cancer, as well as another die from kidney and liver cancer. It is a devastating disease no matter the type; breast cancer is the second most common type of cancer (1st is prostate cancer in men) and 2nd highest cause of death in women. National Breast Cancer Awareness Month was started in 1985 by the American Cancer Foundation and Imperial Chemical Industries. The purpose was to encourage women to get mammograms as breast cancer prevention. Here we are 28 years later with incredible advancements in how to stop breast cancer if detected early and numerous treatment options, there is no way to stop the recurrence of the life threatening disease and there is still not a cure for breast cancer. October is a month dedicated to increasing awareness of breast cancer prevention through mammography, sharing information, encouragement and support. Breast Cancer Statistics. Know The Facts! - 1 in 8 women will be diagnosed with breast cancer in their lifetime. - It is the 2nd deadliest cancer and 2nd in death of women. - About 39,620 women will die from breast cancer. - It is estimated 2240 new cases of invasive breast cancer in men and 410 deaths. About 232,340 new cases of invasive breast cancer will be diagnosed in women with 39,620 deaths. Both are 2013 statistics for men and women. Most of us have heard of breast cancer and the name pretty much says it all to the majority of people, but the reality is that breast cancer is an extremely complicated disease. There are actually more than one type of breast cancer and each body deals with it individually, therefore doctors cannot just detect and treat the same. Lets take chickenpox or the flu for example. Medical professionals can positively communicate what causes these illnesses and how they will affect the body, but no one can say how many pox you will get on your body or how mild or harsh a flu will be; it just depends on the individual. How To Support During and After National Breast Cancer Awareness Month? #1 Get a mammogram this month! There are options to the left in the menu and graphics on the middle of the page for different donation types. You can click the Get Involved button at the top of the page for walk and event opportunities. Instead of donating a random amount to the foundation, you can sponsor a mammogram, set up a personal fund raise, partner with a nationally recognized charity or volunteer to educate. #4 Buy or Make Pink Ribbons/ Wear your pink ribbon daily to maintain awareness. 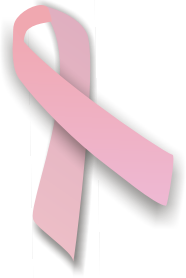 Pink ribbons have been used to symbolize breast cancer since 1991 and are still used as a reminder to all. 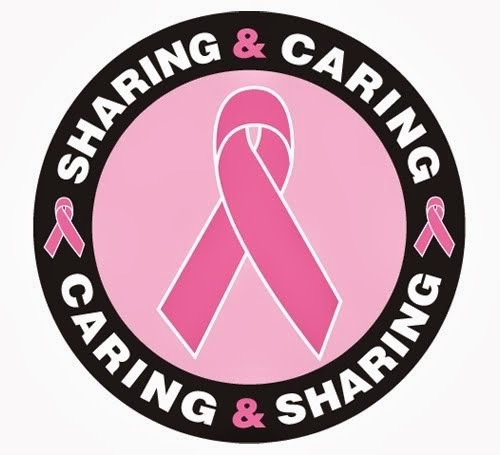 Buying pink ribbon products from foundations or making pink ribbons to share are also ways of providing your support. You can make pink ribbons this October and share them with others to educate and maintain breast cancer awareness in your community. Don't forget to do you part by wearing your wristband, ribbon pin or shirt often. # 5 SHARE This Blog Post! How ever you choose to contribute to a breast cancer foundation is important to help with research, fundraising, education and treatment options for men and women fighting breast cancer. The more people we reach with breast cancer statistics, information, prevention and treatment options, the better we serve in helping to find a cure. You never know when someone close to you will need the help. Together we can find a cure!